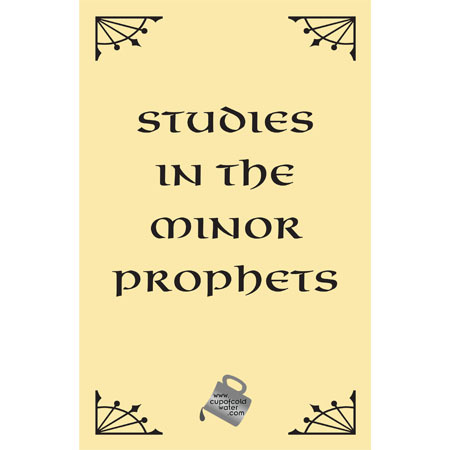 The introductory lesson places the Minor Prophets in their historical and political context — who was ruling? who was a threat? what were the dangers to Israel and Judah? ♦ Hosea Who is God’s Bride? Who is God’s Child? ♦ Joel Why Does God Prophesy? ♦ Amos What is a Prophet? ♦ Obadiah What is “The Day of the Lord”? ♦ Jonah Why Do We Study the Prophets? ♦ Nahum Why Does God Speak to other Nations? ♦ Habakkuk How Does God Use the Nations of the Earth? ♦ Zechariah Is This Physical or Spiritual Israel? ♦ Malachi The Messiah Comes!